Lure sweet hummingbirds to smaller outdoor spaces with our Container Hanger. 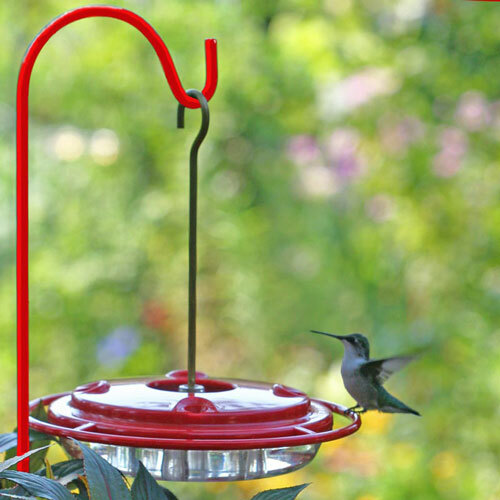 Designed with hummingbirds in mind, the 24" high stake features a sturdy hook that's ideal for holding feeders right where they belong… among the nectar-scented flowers that hummingbirds love so much. Blends nicely with the vibrant blooms in decorative pots, portable containers, and window boxes. It's also great for hanging votive candle holders, small potted plants, windchimes, even lanterns. 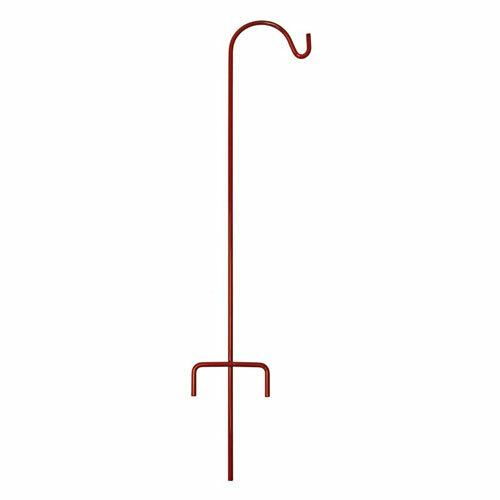 Made of weather-resistant powder-coated steel, it is sturdy enough to last a lifetime with proper care. Made in the USA. 24"H; 4" from hook to stem. A sweet nectar from easy-to-access feeders is key to maintaining the hummingbird's energy levels and hydration as they look for food and a suitable nesting site. Make sure you have just what these little charmers need to stay healthy and happy throughout the seasons.